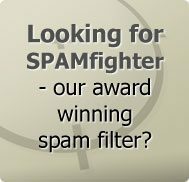 According to a November 2008 spam report from e-mail service provider AppRiver, the month has witnessed dramatic shift in spam, with several tricky attempts to get people to disclose their security and privacy, and one crack down of a dominant spam host that helped remove as much as 75% of junk e-mails. Further, the firm named November 12, 2008 as "The Day the Internet Stood Still" i.e. the day ISPs closed service to McColo, a deceitful web host, temporarily shutting down five major spam-spewing botnets. AppRiver also reported that apart from the drastic drop in spam volume, the month saw several important security trends, because despite the low spam traffic, phishing remained a dominant problem throughout November 2008. For instance, a phishing e-mail posing to arrive from the Federal Reserve Bank told recipients that phishing campaigns were rampant but, in reality, it tried to exploit a security flaw in Adobe Acrobat to infect people's systems. Furthermore, there were several attempts to misuse the names of prominent corporations while promising quick bucks for answering an online survey that ended up asking users, their account information in the pretext of payment processing. The two names that were predominantly used in phishing campaigns were Wal-Mart and McDonald's. Moreover, with regard to the geographical areas of origin during November 2008, AppRiver noted that it was nearly the same as that in the earlier month, with Europe remaining on top, and Russia, Brazil and the US remaining the top 'nations' of origin. Security experts said that the economic crisis in the global market immensely helped spammers with material to frame their virus and spam campaigns. Talking of computer viruses and worms, there were plenty of them but the daily volume was much less compared to the traffic. Therefore, with the uncertainty clouding the global financial markets, spam mailers increased their efforts to gather people's banking and personal information. 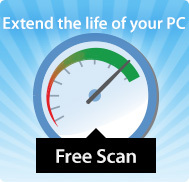 Similarly, Trend Micro, another security firm, says that common PC users are their own enemies. The firm's data reveals that software vulnerabilities were responsible for only 5% of the infections during last year (2007).